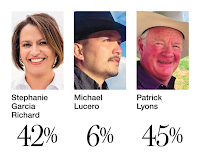 The ABQ Journal's final poll released Saturday gives Lyons a three point edge. He beats Garcia Richard 45 to 42, with Libertarian Michael Lucero getting 6 percent. 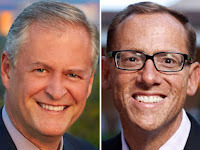 The survey follows one by ABQ PR firm Carrol strategies conducted October 29 that showed a similar result, with Lyons beating his Dem foe 49 to 45. The only saving grace for Garcia Richard and the enviros is that she wins among those who have already cast their ballots. If GOP turnout, which is now accelerating, should falter in the final days she could still win. On the other hand, the two polls showing Lyons ahead could energize R's hungry for a win in a year that has been dominated by predictions of a big Dem night. Already the long knives are out for Garcia Richard and her campaign management. Her TV commercials are routinely described by observers on the left and right as terrible and worse. Her June primary win is being dismissed as a freakish event prodded on by women voters but disconnected from the reality of the office she is seeking. 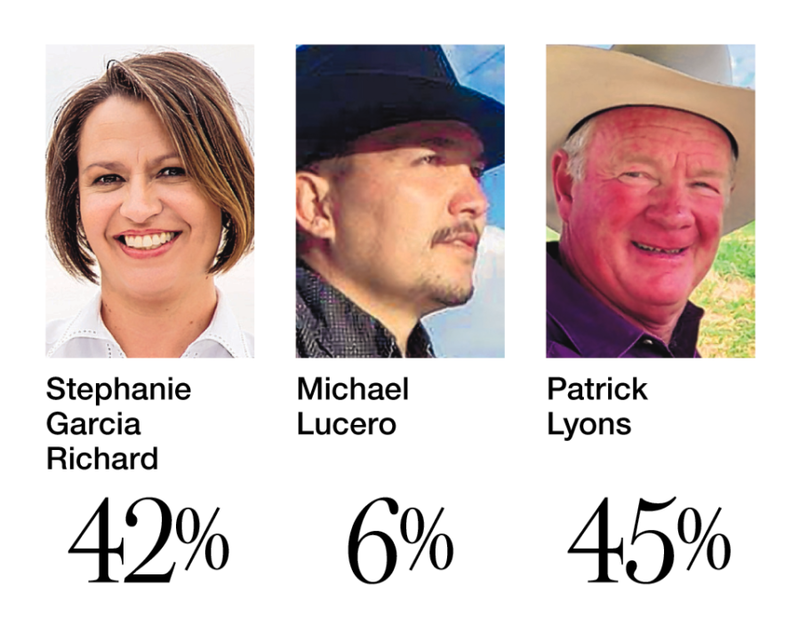 Lyons is holding Garcia Richard to a tie in the big ABQ metro. That means thousands of Dems are crossing over for him. Pat Lyons has seized the lead in two late polls in the race for land commissioner and it now goes from toss up to Lean Republican. In the state Supreme Court contest, there is no surprise. Democrat Michael Vigil is outpacing Republican Gary Clingman 53-37. The poll was conducted Oct. 26-Nov.1 and has margin of error of plus or minus 4.7 percent. That's what you can expect. Ellen Bernstein is a union thug and she will be Secretary of Education if Lujan Grisham is elected Tuesday. Aragon is working hard to gin up the Republican base and doing some old fashioned union bashing is one way to appeal to the hearts of the GOP. MLG has not made public any possible names for her cabinet and neither has Steve Pearce. 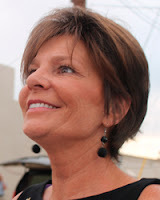 Then there's this eyebrow raiser from ABQ GOP congressional candidate Janice Arnold-Jones. In a radio ad she calls Deb Haaland, her Democratic opponent, "DUI Deb." That's a reference to two DWI convictions Haaland had 35 years ago. She has said the incidents put her on the path of sobriety and she no longer imbibes. It's a sensitive subject since Haaland would be the first Native American woman elected to the US House and alcohol has historically caused considerable problems for NM Indians. But that isn't stopping Arnold-Jones from bearing down as she hopes for an upset in the contest which heavily favors Haaland. While Janice is calling Haaland "DUI Deb," Haaland may start calling her opponent "Jittery Janice." The two candidates were recently the subject of a ten minute video from the Guardian newspaper of London. About three minutes into the video Arnold-Jones melts down when asked for comment about a controversial quote she made. The former state representative, nicknamed "Lady Sunlight" for her record on government transparency, recoils from the questioning and denies the quote cited to her from the ABQ newspaper. She then demands that the Guardian video camera be shut down. The reporter reminded the candidate the decision to videotape is his not hers. Maybe Janice hadn't had her coffee? The third candidate in the race is Libertarian Lloyd Princeton. He doesn't have a nickname yet. Don't worry, Lloyd. The way this thing is going you're bound to get one. Candidate David Cheek and his political cronies are spreading false statements for political gain. Problem is the untruths hurt abused and neglected children in foster care. Have you no shame Mr. Cheek? 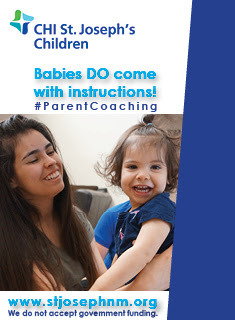 For 13 years Gallegos has been the Executive Director of Mesilla Valley CASA, a local nonprofit that advocates for abused and neglected children. She says the mailer was prompted in part by Cheek misrepresenting her salary. 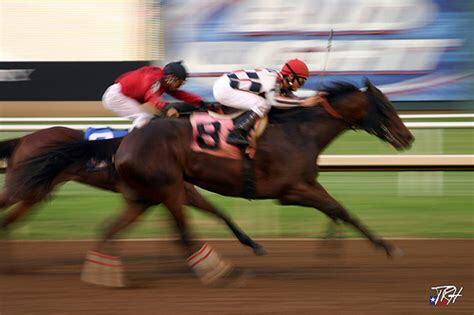 The race is not considered to be in play by either party. This last Saturday of Campaign '18 will find the Guv candidates busy on the trail. MLG is making stops with Senator Heinrich, including a matanza with Congressman Ben Ray Lujan on the Plaza at Socorro at 11:30 a.m. Steve Pearce continues his "Jobs Now Tour" and his hunt for Democratic votes with a stop in the ABQ South Valley. At 3:30 p.m. he'll be at Bernalillo Motors and Towing on Coors Blvd. A Friday blog?! Hey kids, we're here to serve. Well, I do feel the ghostly breath of Bruce King, Dave Cargo and Ernie Mills on my neck so blog I must on these final days of the campaign. Let's go. . . The labor PAC Patriot Majority spent nearly $1 million on ads of all sorts for the Dem legislative candidates and others in the past month, according to the latest money reports filed with the state Thursday. If they can't take out ABQ GOP Rep. Monica Youngblood with that kind of money--convicted and jailed for aggravated DWI--Dems might start calling them Patriot Minority. By the way, guess who's handling the media for Monica? That's easy. Jay McCleskey, Gov. Martinez's political manager. Hey, maybe Susana will publicly endorse Monica? Uh. Probably not. But she hasn't said a word about her BFF's legal problems. Meanwhile, Dem Michelle Lujan Grisham has raised $9.3 million for her Guv run since starting out nearly two years ago. She reports spending close to $2 million this past month and raising more than $1.5 million. She had $373,000 in cash on October 30. 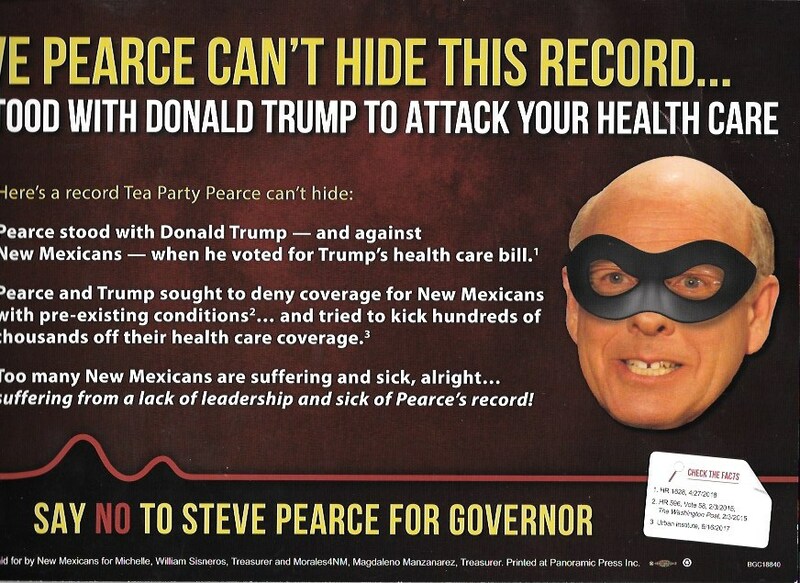 Republican Guv candidate Steve Pearce spent $1.56 million over the last month and raised $431,000. He had $123,000 on hand for the final hours. Both candidates can do us favor: Please don't buy any more TV ads with the dough you have left. We think you've got it covered. Wow. 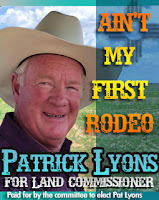 New Mexico Strong, a super PAC funded by the oil industry, spent nearly $1.9M over the last month, most of it to support Republican Pat Lyons for land commissioner. It's also helping a few GOP state House members. CVNM Verde Voters reports spending more than $847K over the last month. It's been backing Democrat Stephanie Garcia Richard in the race for land commissioner. Is this a political campaign or the World Series of Poker? If you're a regular around here you know we have been scoring each campaign month in the Governor's race for either Dem Michelle Lujan Grisham or Republican Steve Pearce. We had MLG winning June, Pearce taking July and August and MLG taking September. So who won October? Drum roll, please. . . . Neither campaign collapsed in October and the race was still not closed out as the trick or treaters devoured their candy. The debates were draws, both received newspaper endorsements they could brag about and neither succumbed to their opponent's TV corruption ads. But October goes to Lujan Grisham because she made it through the month continuing to nurse a polling lead and with having a broader path to victory. That narrower path for a Pearce win forces him to look for a big boost from rural voters. Possible but not easy. In October, MLG's easier path to victory remain unblocked--take BernCo by a big margin, combine it with landslides in Taos and Santa Fe Counties and a healthy score in Dona Ana. The most recent poll shows Pearce with a chance of getting it closer than she wants in BernCo so we will watch that closely Election Night. There is still one month to rate--or at least part of a month. November will decide the matter. The clock is about to run out on Election '18. The Guv candidates are putting up final spots as early voting ends Saturday and Election Day is set for Tuesday. Both candidates are tugging at the heartstrings of voters in their last pitches. In this 60 second ad Pearce features ABQ mother Mary Candelaria whose teenage son Adrian was murdered in 2016. She asserts that MLG supports automatic parole after thirty years for convicted murderers and that she needs to "put families first, not criminals." The MLG camp disputes that parole position. Republicans I’ve talked to are increasingly less confident. Even though it’s close, they don’t like the trend nor the dynamic of having the non-Hispanic candidate in the race. We are keeping our rating of Lean Republican, the last of the Mohicans so to speak. 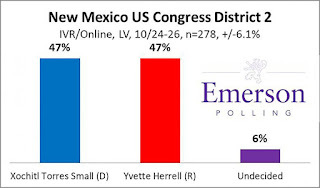 That's because of the first ABQ Journal September poll showing Torres Small trailing by 7, this Monday's Carroll Strategies landline poll showing Herrell ahead by 5 (although that poll leaned a bit R), the historic trend of the district to vote for the conservative candidate regardless of the political environment and the fact that the Dems are not releasing their internal polling to tout the race as a true toss up. We're not predicting. Lean R doesn't mean we think Torres Small will lose. Far from it. But unlike the DC pundits we don't see the race as an even money bet. A day after it released its poll showing a 5 point lead for Herrell KOB-TV took to the campaign trail to interview the candidates, pointing out how tight the race is but never mentioning its own poll showing Herrell opening up a lead. In fact, they had their anchor quote another poll saying the race was only separated by one point. But what about their own survey that showed it at five? The Alligators are watching, newsroom. . . Here's some Kellyanne Conway coverage from her Halloween visit to Ruidoso to support southern congressional Hopeful Yvette Herrell. Guv candidate Steve Pearce was also on hand for the event. . . No one should accuse Dem Torres Small of laying back. She is all across the huge congressional district in the final days, from Artesia to Belen and points in between. If you need a restaurant tip for a local town, she is sure to have one. Since the first poll in June by Carroll Strategies, Johnson has gone from 38.5% to 45.3%--growth of nearly 7%. In contrast, his opponent achieved no growth despite starting television ads nine days earlier than Johnson . . Colón’s growth is non-existent. He went from 49.7% in June to 50.1% in late October. . . Johnson is fighting waste, fraud, and abuse. . . His opponent, however, has a record of failure and incompetence and he can’t shake his ties to Bill Richardson’s shadowy dark money scheme. Wayne Johnson is the far superior choice to be our state’s watchdog. Johnson is a former BernCo commissioner who ran for ABQ mayor last year. He has high name ID in the metro that's keeping him hanging around but no R has been elected auditor since the 60's. It could be too little too late but Johnson comes with some TV to close out his campaign against Colón. He takes a bite out of the former NM Dem Party Chairman by essentially labeling him a political hack. 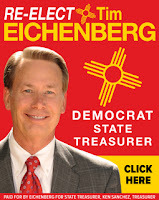 But in the same 30 second spot the former BernCo Commissioner touts his service as auditor. It's a tight squeeze which is what you get in a low-budget, down ballot race. The Auditor's race is rated Likely Democrat. I saw your comments on what Dan Sena said about winning back the House and if Democrats do it by a seat or two would that be a win for Ben Ray. To do that it would be a net of 25 seats, winning in several districts that have long been held by Republicans. As a note, the last time Democrats took control of the House we won 30 seats. Also, I will point out that Democrats have the largest battlefield in history with 111 seats and have raised record amounts at both the DCCC and by the candidates. Ben Ray has helped put New Mexico back on the map again at the national level in politics, where we have not been for the last 8 years. And have no doubt no matter how slim the margin, Democrats will be very happy to be back in control of the House. If the Dems do take back the House it will be interesting to see how much credit Ben Ray gets. Remember, as JFK once said: "Victory has a thousand fathers but defeat is an orphan." Yes, we'll be blogging here tomorrow as well as Saturday and Sunday as we bring this campaign home and prepare for our Election Night coverage Tuesday. So join us here Friday and on the weekend as we cover the latest polling and final hours fury of Campaign '18. Now, to the action. . . The race for Governor is no runaway and shows signs of tightening, according to a robocall landline poll commissioned by ABQ public relations firm Carrol Strategies that was conducted Monday, Oct. 29 and released by KOB-TV Wednesday night. The poll also says that Republican Yvette Herrell has opened up a five point lead against Dem opponent Xochitl Torres Small in the hotly contested southern congressional contest; that Republican Pat Lyons could be on his way to victory in his race for state land commissioner against Dem Stephanie Garcia Richard; that the race for state auditor between appointed GOP Auditor Wayne Johnson and Dem Brian Colón is close and that Sen. Martin Heinrich is poised to garner over 50 percent in his three way race for re-election. Now the details. . . 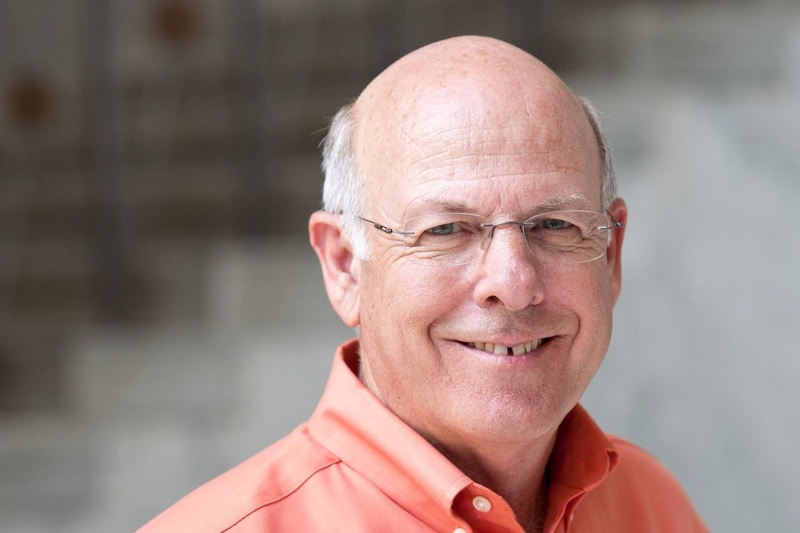 The survey of 1,200 likely voters shows Democrat Michelle Lujan Grisham with a leg up on Republican Steve Pearce but far from running away with the contest, as other recent polls indicated could be happening. In the Carroll survey it's Lujan Grisham 50.6 percent to Pearce's 45.5 percent. 3.9 percent were undecided. That's a five percent lead and contrasts with two other recent Guv polls that both had MLG leading Pearce by nine, 53-44. The poll found that Pearce is keeping the race in play by not getting blown out in MLG's ABQ area congressional district. There, she garners 52.0% to his 45.6%. Pearce has been making the metro crime wave a major issue and that appears to be holding him here. As expected, Pearce scores a win in his southern congressional seat besting Lujan Grisham there 54 to 41. In the heavy Dem northern congressional seat it's MLG carrying the day with 57 percent to Pearce's 38. This poll will obviously cheer Republicans who have argued all along that the race is close. The early September ABQ Journal poll had it 50-43 for Lujan Grisham. The second and final Journal poll is to be released over the weekend and the odds seem good it will also show Pearce at least within shouting distance. Still, Pearce has a lot of work to do in a few days. Already 300,000 New Mexicans have voted early. Experts expect total turnout to be anywhere from 605,000 to 640,000. The margin of error in all the statewide races in the poll is plus or minus 2.8 percent. In the southern congressional contest the survey of 338 likely voters has Herrell at 47 percent and Torres Small at 42. Undecided is 11 percent. This poll is the first recent survey to show a lead this large for Herrell. The margin of error is 5.32 percent. The September ABQ Journal Poll had it 48 to 41 for Herrell. Since then polls have shown the race tightening. The Emerson College poll of Oct. 24-26 had the race tied at 47%. However, the district historically leans Republican and its true colors may be starting to show in the Carroll survey. The NRCC this week made an ad buy of over $600,000 on behalf of Herrell. That brings their total buy to $1.8 million. That’s the same amount the DCCC has spent on ads for Torres Small. Also, this poll came after VP Pence's Roswell visit last Friday on behalf of Herrell and Pearce that generated widespread publicity. Importantly, no candidate is at the magic 50 percent mark. The race remains competitive. 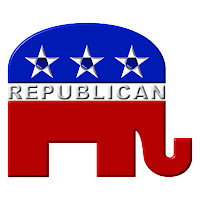 It is rated Lean Republican here but a Toss Up in the Cook Political Report and others. In the northern district Dem Rep. Ben Ray Lujan has another easy re-elect, according to the survey. He is beating Republican Gerald McFall 57 to 33. A Libertarian candidate gets 4. The survey could lean a bit Republican because it weights the GOP turnout at 38.4 percent, higher than some other surveys. But it is still a sign that the media campaign from Lyons and the one by a Chevron financed super PAC are pulling him ahead. He leads narrowly in the ABQ congressional district--48-46--and in the southern district 57-37. Garcia Richard takes her home turf in the northern district 49-44. It's a bit too close for comfort for Dem Brian Colón but he is still positioned to beat appointed GOP State Auditor Wayne Johnson, reports the Carrol Strategies survey. Colón polls at 50% to Johnson's 45. Johnson is a former BernCo commissioner. The race is close because Johnson is running just six points back in the ABQ area and clobbering Colón by 11 points in the south but Colón carries the north by 14. The survey confirms the obvious. Senator Martin Heinrich is in his way to an easy re-election. He garners 52 percent of those polled; Republican Mick Rich gets 37. The bottom drops out in this survey for Libertarian Gary Johnson who gets only 7 percent. That may be a bit low for Johnson but otherwise the writing on the wall on this race has been there a long time. Theses races have been noncompetitive from the start. 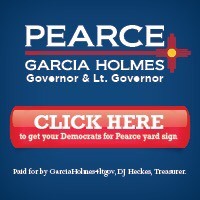 The survey reports Attorney General Hector Balderas prevails over R Michael Hendricks 61-34. Secretary of State Maggie Toulouse Oliver beats Republican Gavin Clarkson 52-40 and State Treasurer Tim Eichenberg outscores R Art Castillo 52-40. How many seats will the Democrats pick up in the state House on Election Night to increase their current 38 to 32 lead? That question has been asked repeatedly during the long campaign but today we put the shoe on the other foot and ask if the R's can prevent any losses in the House and perhaps even pick up a seat. Sure, it's somewhat of a long shot but that's what makes La Politica go round--the unexpected. We turn to one of our Senior GOP Alligators who tracks the legislative races. Let's see how much he can upset Dem House Speaker Brian Egolf as he predicts a zero gain for the Dems Tuesday night. Youngblood can still win this. She is up with a radio ad touting her unexpected endorsement from the ABQ Journal who urged a vote for her despite the DWI. Also, her Dem opponent, Karen Bash, is relying entirely in the labor PAC Patriot Majority to do the negative campaign on Youngblood. that may not be enough enough. Monica wins re-election. Ok, so far no Dem gains. What about Republican Rep. Jimmie Hall in the far ABQ NE Heights up against newcomer and Dem Melanie Stansbury? They've been attacking Jimmie hard on healthcare and women's issues. It's not an easy race. 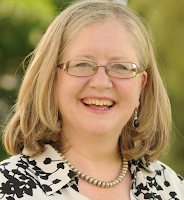 But Stansbury is an ultra-liberal and ultimately the dyed-in the wool GOP precincts will reject her. A close race? Yes. But Jimmie Hangs on. So, still no change. How about Republican Brad Winter vs. Dem Day Hochman for the swing seat being vacated by GOP State Rep/ Sarah Maestas Barnes in the NE Heights? Joe, Brad can handle this. 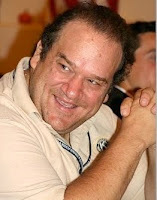 I've been surprised Hochman hasn't hit him harder over his service on the ABQ city council and blame him more for the out of control crime. He has a ton of positive name ID from decades in politics. It's also confusing to voters that Hochman is campaigning as Day Hochman-Vigil but is listed on the ballot as just Day Hochman. I think we hold this seat. Well this is one is tough, Figueroa ran for it last time and came close and the district is moving toward the Dems. We could lose this. But that doesn't mean w will lose any seats in the House. Dem Rep. George Dodge is on the ropes on the Eastside. We think we will pick that one up to make up for a loss of the Gentry seat. 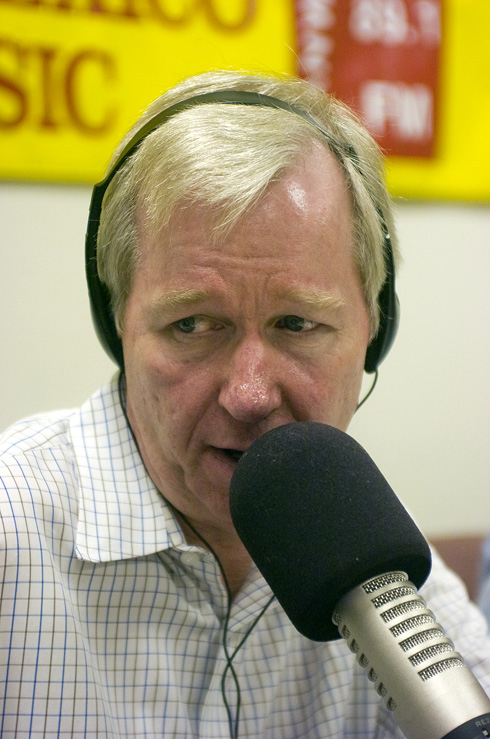 As for ABQ GOP Rep. David Adkins and Las Cruces GOP Rep. Rick Little, contrary to Dem spin they are safe for the R's. No pickups at all for the Dems? We have a good chance at breaking even. And we even have a shot at picking up one seat if all of my predictions come true. That would be the one held by ABQ Dem Liz Thomson who has a quality Republican opponent. That would make the house 37-33. So there you have it Democrats and Speaker Brian. Don't put your surf boards in the water yet to ride a blue wave. You just might suffer a bite from a Senior Alligator. In a first draft Wednesday we inadvertently blogged that the southern congressional district has been dominated by the Democrats for the better part of four decades. Of course, we meant to say the Republicans have dominated. 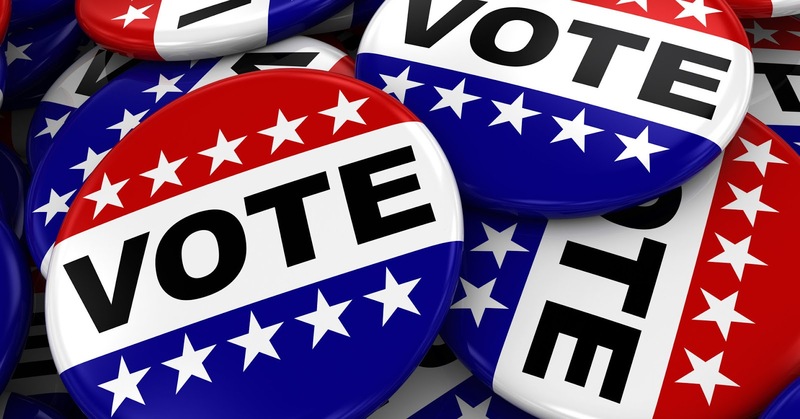 Our Election Eve Special on KANW 89.1 FM and kanw.com will air live beginning at 5 p.m. Monday. Among our guests will be former GOP State Senator Diane Snyder and ABQ Journal Capitol Bureau Chief Dan Boyd. 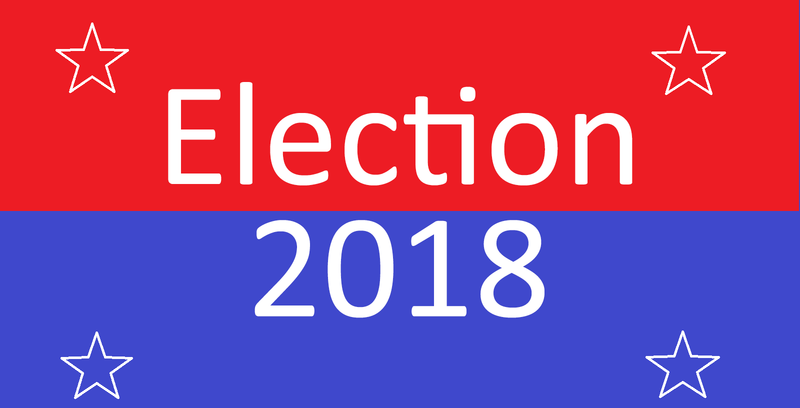 Our Election Night coverage will kick off at 6:30 p.m. Tuesday and include analysis from ABQ Dem State Rep. Moe Maestas and ABQ attorney and former city councilor and state legislator Greg Payne. I do look forward to being with you on this, our 30th consecutive year of public radio Election Night coverage. In the closing days of what's being billed as one of the closest congressional races in the USA, Republican Yvette Herrell is doubling down on her support of President Trump and bringing in Kellyanne Conway, one of Trump's top aides, to help her close the deal. Conway, 51, whose official title is Counselor to the President, and Herrell will rally the GOP faithful at a Halloween get out the vote rally tonight at 7 p.m. at Lincoln County Republican Headquarters in Ruidoso. Lincoln is in the heart of GOP country and where Herrell is working feverishly to run up the totals against her Democratic opponent Xochitl Torres Small of Las Cruces. In a contest that has seen the two combatants tied or nearly tied in the polling, Herrell has stuck to her guns and never deviated from her support for Trump who easily carried the southern congressional district in 2016. Last week VP Pence rallied with her in Roswell, demonstrating the importance of this seat to the Republicans as they wage an uphill battle to prevent the Democrats from seizing control of the lower chamber of the US Congress and seeing Trump's agenda thwarted in the second half of his term. I am excited to welcome Kellyanne back to New Mexico. Her attendance at this Get Out The Vote rally demonstrates the importance of this election and how vital it is that New Mexico maintains this conservative voice in Congress. There's that reference to Herrell's conservatism that makes her support so bedrock in SE NM whose economy is dominated by oil, ranching and the military. It has had the 33 year old Torres Small, making her first bid for elective office, constantly searching for ways to present herself as a moderate/conservative Dem who the Eastside conservatives don't have to be threatened by. Herrell, 54, a four term state legislator out of Otero County, has run a consistently conservative campaign, not bending a bit to liberals or moderates in the district. Will that consistency be the deciding factor? Certainly Herrell believes so which is why Kellyanne is here tonight. Joe, Xochitl is an excellent candidate. The problem is turnout. Hispanic turnout is a longtime problem in the southern district. Looking at early voting data, it could again be an issue. For example, the Valencia County portion of the district, where Xochitl needs turnout, does not have any contests besides the US House race that are close and getting Dem voters engaged. Also, after a good start with the absentees, Dem turnout in Democratic Dona Ana county seems to have leveled off. Statewide I am seeing an average turnout for this election--not a big increase. The higher the turnout the better for the Dems to pull the upset and take the southern seat which has been in GOP hands for four decades, except for one two year stint. GOP turnout is more reliable than the Dems but they still need to get their voters to the polls. With VP Pence and now Kellyanne campaigning for her, Herrell has fully embraced the nationalization of this contest and is flying the Trump flag high. Will it wave high over southern New Mexico Election Night or be lowered to half staff? We know we don't have to tell you to stay tuned. While Yvette is Halloweening with Conway, Xochitl is trick or treating today with voters in Deming where she will stump with Senator Heinrich and Dem Lt. Governor candidate and State Senator Howie Morales. She will also have a Coffee in Capitan in Lincoln County Nov. 2 with her old boss Dem Senator Tom Udall. He doesn't have quite the star power of Kellyanne, but maybe he can woo the locals by bringing in the good stuff from Starbucks. We have the southern congressional race rated Lean Republican. Inside Politics has it Tilt Republican. The Cook Political Report, Sabato’s Crystal Ball and FiveThirtyEight rate it a Toss Up. 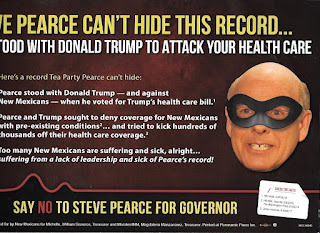 We couldn't find any scary Halloween mailers, but this one featuring GOP Guv nominee Steve Pearce came close. At first we thought he was the Lone Ranger but then read the copy which says "he can't hide his record." Pearce has pretty thick skin so he's probably not too offended. In fact, if he was having trouble figuring out a Halloween costume tonight, all he has to do is snap on that black mask and go down to ABQ's liberal North Valley and scare the daylights out of Michelle's supporters. If history is a guide the race for the NM Court of Appeals featuring Democrat Megan Duffy and appointed GOP Court of Appeals Judge Daniel Gallegos could be close. Duffy apparently realizes it and in her TV spot she takes a shot at Gallegos for being appointed by Gov. Martinez whose picture is prominently displayed. It's one of the few ads out there this cycle trying to cash in on Martinez's popularity plunge to the mid-30's from the 60's in her good 'ol days. Gallegos has deep roots in the Albuquerque area. And don’t underestimate the ethnic factor in the north. This is a race to watch. (The) race. . .is drawing attention from national environmental groups and one of the country’s largest oil companies. At stake is a job with the authority to regulate the emissions of methane, a powerful planet-warming greenhouse gas that leaks from oil and gas operations and is more than 25 times as potent as carbon dioxide in trapping heat in the atmosphere. In New Mexico, methane leaks are a big deal. Leaks from oil and gas operations in and around the state have created the nation’s largest methane cloud. . . over the state’s Four Corners region. Voters will choose between Garcia Richard who has vowed to crack down on leaks of methane, and Patrick Lyons, a Republican He has the backing of the oil industry, including a $2 million contribution by Chevron to the political action committee supporting his campaign. Garcia Richard wrote to her supporters this week: "This election will most likely be decided by less than 5,000 votes." She may be right. But it could be more. We've blogged of the giant surplus the state is getting from the oil boom--as much as $2 billion in new money when legislators meet in January. Gosh, could something go wrong? So what about corruption in the legislative branch? We got a dose of it with State Senator Phil Griego. And with the state receiving a gargantuan cash flow from the Permian Basin oil fields, the cynics are warning that the temptations to "misuse" some of that windfall could be great. No one in Santa Fe has ever seen this kind of money in one year. For the unethical the lure to divert some to favored friends could be there. Voters are expected to overwhelmingly approve an independent state ethics commission this November. The details of how it will operate will be decided by lawmakers. Will it be a toothless wonder? Or a deterrent to the foxes looking to feed off the state's new found wealth? We hadn't received the notice that the state Dems would be having their Election Night party at Hotel ABQ when we blogged that the R's would be at the ABQ Crowne Plaza to watch the returns roll in. The Dems can be accused of a lot of things but not enjoying a party is not on the list. We'll have our Election Night party on KANW 89.1 FM and kanw.com, where it's been held every election since 1988. We'll start at 6:30 to set the scene and then be on top of the early vote when it starts to come in after 7 p.m. No one puts a lampshade on their head and dances around at our radio party (at least not yet), but La Politica always delivers surprises that keep the party going into the late night hours. You are cordially invited to join us for our 30th year of Election Night coverage on public radio. A line we had in the first draft of the Tuesday Monster blog about Delta Consulting and Dem Guv candidate Michelle Lujan Grisham just didn't come out right. The intent was clear but not the writing. Several readers alerted us and we made a change and we thank them for that. Despite its perils, Monster blogging will continue here tomorrow because, well, that's the way we roll. This one flew under the radar but is of note. Gov. 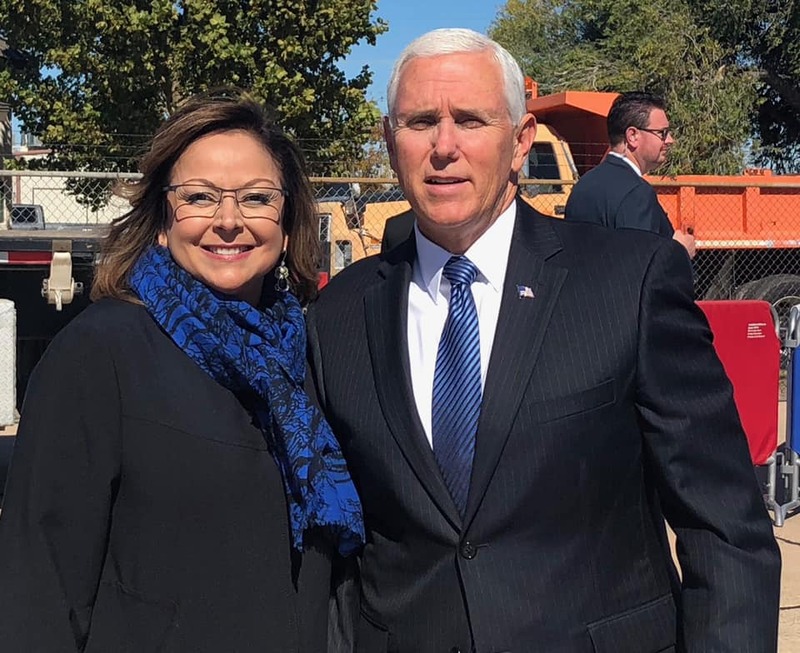 Martinez made a quiet appearance last Friday in Roswell and greeted Vice President Mike Pence there as he prepared to rally the GOP troops for Republican Guv hopeful Steve Pearce and southern congressional candidate Yvette Herrell. But she did not attend the rally that Pence conducted at the Roswell Airport and she has not publicly endorsed either Pearce or Herrell. This trio of top R's are actually bitter foes. Martinez also refused to embrace the Trump candidacy in '16. Martinez's popularity has plummeted to the low to mid 30's. Her appearance at the rally would probably not have been welcome. But her solo sidebar with Pence speaks to the more important question of the state of the NM GOP. And it's not good. Martinez took the party to new heights, scoring re-election for herself and helping her brethren gain control of the state House for two years. But her popularity crashed along with the economy and her constant fighting with the legislature. Combined with the failed tenure of ABQ Republican Mayor RJ Berry, the GOP has been left in tatters. If Pearce and Herrell were to both lose next week who would rebuild? There is no apparent answer. Lt. Gov. John Sanchez is spent and also out with Martinez at year's end. The stakes for the state's minority party couldn't get much higher. They need at least one major winner next Tuesday. Just as we said the public polling had stalled out, here comes one. And the numbers look familiar. In the Governor's race the Emerson College poll conducted Oct 24-26 of 936 likely voters has it Michelle Lujan Grisham 53 to 44 over Republican Steve Pearce. That's exactly where an internal poll for MLG's campaign had it that was conducted Oct. 22-26 and that was released over the weekend. Anyone telling themselves this is a 9-point race is going to be in for a shock on election night. The margin of error in the Emerson Guv poll is 3.4 percent. As we've blogged, Big BernCo is Pearce's problem child. He is underperforming here and must move some numbers. But he doesn't seem overly interested. Monday he was campaigning in Farmington and today he is headed south to Tatum, Lovington and Hobbs. The strategy is to hype the southern numbers and others outside the Metro in hopes of overcoming MLG's ABQ advantage. President Bush did something similar in October 2004 when he scheduled stops in Farmington, Hobbs and Alamogordo. Hobbs had never had a presidential visit. Bush defeated Dem John Kerry here in a squeaker, 49.84% to 49.05%. Bush's statewide popular vote win over Kerry was only 5,988. But he won. That appears to be the needle that Steve Pearce is trying to thread as the campaign comes down to its final intense hours. The issue is whether it is too late to get BernCo closer so the south can rise again. Emerson also did a Guv poll in August. That survey had Pearce at 42 and MLG at 40, but that one is looking more like an outlier. No other public poll has had the race that close. The Journal had it 50-43 in it's early September survey. The survey showed a nip and tuck race for the southern congressional seat, with Republican Yvette Herrell and Dem Xochtil Torres Small tied at 47 percent among 238 voters polled. However, the margin of error was a quite high 6 percent. Also, most of the survey was conducted before the VP Pence rally in Roswell for Pearce and Herrell which drew widespread coverage. This one has been tough for either candidate to put away, with over-the-top spending from the national partisans. Historically it breaks toward the R's. We'll see where it lands Election Night when we call the action on KANW 89.1 FM in ABQ and on kanw.com. The US Senate race fizzled long ago. Emerson has it for Senator Heinrich with 48 percent. R Mick Rich garners 32 percent and Libertarian Gary Johnson comes in third with 16% and 6% is undecided. What this tells us is that Rich has consolidated some of the GOP vote and likely will take second place. Johnson is fading, as third party candidates are prone to do during the final days. The undecided may be more likely to go with Rich or Johnson since they already know incumbent Heinrich. The question is can Heinrich reach 50 percent in this three way race? 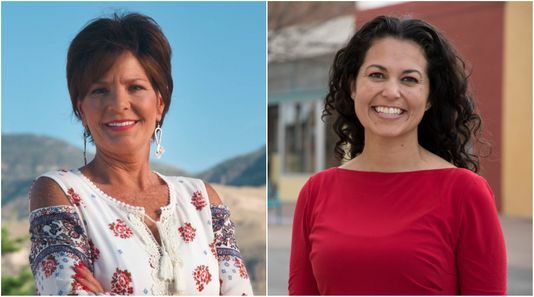 In the ABQ congressional race Dem Deb Haaland garners 51 percent to 41 percent for Republican Janice Arnold-Jones. Libertarian Lloyd Princeton gets 1 percent. This seat has been a safe Dem hold for a while and this poll confirms that. The margin of error is 5.7%. 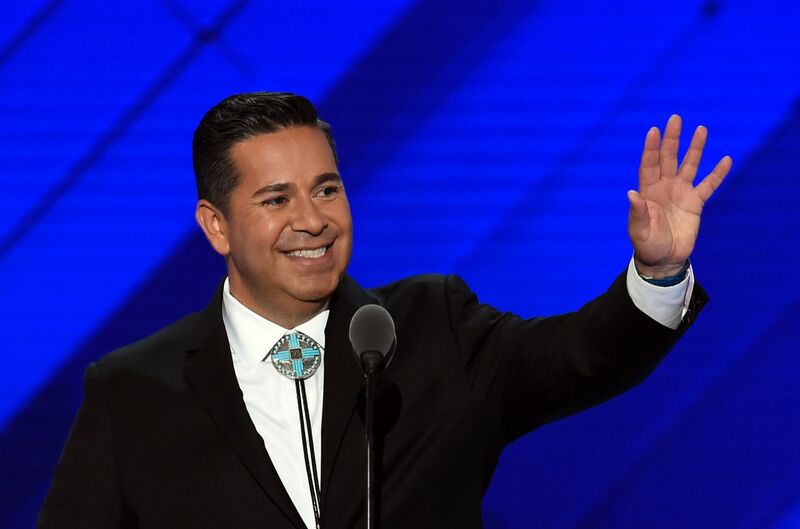 In the heavy Dem northern congressional seat Rep. Ben Ray Lujan is set to win in a walk. He leads R Gerald McFall 54% to 37 percent. Undecided is 5 percent. Lujan is headed to his sixth, two year term in the US House. Emerson also asked about favorable ratings. They have Trump at 40% favorable, 55% unfavorable; Lujan Grisham 43% favorable, 39% unfavorable and Pearce 43% favorable, 43% unfavorable. Obviously, the negative campaigning in the Guv's race has put a lid on the candidates favorable ratings. But winning has a way of putting a halo on a hopeful and the ratings of the Governor-elect should go up after the election. The Emerson college poll was conducted using automatic robo calls and on line surveys. Given the onslaught of campaign ads accusing Pearce and Lujan Grisham of being little better than corrupt mob bosses, the hands of Mr. and Mrs. New Mexico might be trembling as they approach their ballot to make their choice. What to do? Well, rest assured the two contenders are not in line to be honored by the Mother Teresa society but the charges against the pair are actually garden variety. They hit them for fudging and misleading statements--not an exchange of cash for services which would take them from the garden to the jailhouse. The awarding of state contracts is inherently a political process. The contractors are always looking for an edge and the politicians are looking to keep their friends happy. Sometimes the line gets crossed and you have pay to play and perp walks. Remember the metro courthouse scandal or those involving two state treasurers? In the case of MLG and Delta Consulting there is a case to be made that the contract was politically tinged. There's that report that Delta was the only one submitting a bid to run the high risk insurance pool and continuing questions about how much the contract was advertised. Also, the fact that the congresswoman was indeed politically connected to Governor Richardson. But the more important questions are: Was Delta qualified? Did Delta deliver the services promised? Did Delta or MLG embezzle funds? The answers so far are that the company was qualified and there was no illegal activity. As for Pearce, it's true he prevaricated (to use a fancy word for not telling the truth) when he listed a company on his disclosure form as engaging in party rentals when it was actually an oil and gas company. Why he felt the need to cover that activity is perplexing given that Pearce is well known to have gotten rich from the SE oilfields. It's not behavior that engenders confidence but is it evidence of a quid pro quo in which Pearce received direct payments from the oil and gas industry (not only campaign contributions) to influence his congressional votes? In other words was he on the take? So far, the answer to that question is no. The aforementioned Mr. and Mrs. New Mexico don't have to worry that they are putting in office a modern version of Al Capone as the TV ads infer. What they do have to worry about is how the power will shape whoever eventually wins. On that score. . . The past two gubernatorial administrations ended in a sea of corruption charges. Gov. Richardson was nearly indicted. Governor Martinez's chief political adviser Jay McCleskey narrowly escaped a federal indictment. Both Governors came under scrutiny for awarding contracts to political allies. After Big Bill state investment procedures had to undergo a radical overhaul because of pay to play scandals over the state's billions in savings. Under Martinez the behavioral health system was destroyed and has to be rebuilt because she brought in out of state contractors to run the system. The corruption charges in the incendiary TV spots against Pearce and MLG are far from disqualifiers but they are markers for the government watchdogs. If Pearce is elected they will follow the oil and gas money and look for signs of any outsized influence in the administration. If MLG wins, all eyes will be on her relationship with Gov. Richardson and his allies and for any movidas to secure state contracts under her. To keep corruption at a minimum you need accountability. But the past two Governors have seen little of it. Both won re-election in historic landslides and went on to crash and burn, ending with dismal approval ratings. Bruce Donisthorpe, the late pollster, consultant. congressional staffer and decades-long veteran of La Politica had a favored solution: "Elect them. But never re-elect them," he would often declare. He had a point. If Richardson, Martinez and Johnson left office at the end of their first terms they would have left as heroes. I'm often reminded of our old friend Bruce, especially in the final stretch when we would call on him and others with exceptional political acumen like consultant Harry Pavlides and Andrew Leo Lopez, the original Senior Alligator of the ABQ South Valley. All were brilliant and all of them made me shine. Thanks, fellas. We'll carry on. . .
State Republicans may or may not have something to party about Election Night. Whatever the case, they will gather at the ABQ Crowne Plaza as the returns roll in. The State Dems will gather at the Hotel ABQ. . .
Southern GOP congressional candidate Yvette Herrell has raised a total of $1.2 million for her campaign, not the $1.6 million we had in a first blog draft. Is it safe to say that based on the early voting so far there will be no startling jump in voter turnout in the New Mexico midterm this year? Maybe. But if Election Day voting is a surprise we could still see one. We do know that in early voting Dem enthusiasm has been besting that of the R's. The R's represent 33.8% of the early turnout. Their share of statewide registered voters is 30.4 percent. Independents are making little noise. The turnout among them is 11.7 percent, even though they have 22 percent of those registered. About 19 percent of the state's 1.251 million voters have now cast ballots. The onus is now on the R's to mobilize their voters and some conservative indy's to counter the Dem energy. The numbers crunchers say total turnout is likely to surpass that of the 2014 midterm when 607,000 cast ballots. Your blog is looking at 625,000 on the high side. There may or may not be a statewide blue wave in terms of voter turnout but here in big BernCo there is a ripple in the water. Of the 90,716 early votes cast here through Saturday, 56 percent of them are Dems, while their registration is 46.3 percent. That could bode well for them in five hotly contested ABQ legislative seats that are all held by R's. If turnout doesn't spurt much beyond that 625,000 and the R's get their act together in the final week, they could have a good shot at taking the land commissioner race and perhaps the Court of Appeals contest between Dem Megan Duffy and Republican Daniel Gallegos. He's a Gov. Martinez appointee who must now stand for election. Duffy senses something. She is up with a TV spot that is negative about Gallegos being appointed by the unpopular Martinez. In the Governor's race the early vote shows that the camp of Republican Steve Pearce has it right when they say he needs a big, big southern win and also must nibble at the Dem vote in the rural north to offset what could be shaping up to be an ample BernCo win by Dem Michelle Lujan Grisham. Dona Ana had a turnout boomlet in the very early going as the Dems mined absentee ballots but that has now faded. Dona Ana has fallen behind Santa Fe County in the number of votes cast even though it has about 16,000 more registered voters. The public polling has stalled out in the Guv's race. We got a false flag and blogged that the Journal's second and final poll would be released this past Sunday, but we should have double checked. Pollster Brian Sanderoff says the final survey won't come until the final weekend of the election, with results of the races being published on Saturday and Sunday. That poll being taken this week should be highly accurate, given that it will be akin to an exit poll because of the large numbers of likely voters who have already cast ballots. But because its release will come after most of the early vote has been cast--as much as 65 percent of the total vote--it won't have much influence over the campaign narrative. Depite a barrage of negative attacks against Lujan Grisham, she maintains a positive standing among voters. Her favorability stands at 45 percent favorable to 37 percent unfavorable. At the same time, Pearce has failed to win voters over; his negatives outweigh his positives by 3 points, 42 percent unfavorable versus 39 percent favorable. The campaign did not release the question asked of 600 likely voters. Pearce's campaign has painted a closer picture, but has not released any polling. He continues to barnstorm the North and East today with stops in Las Vegas, Santa Rosa, Fort Sumner, Melrose, and Clovis as part of his “Jobs Now” Bus Tour. The race for Governor is rated Lean Democrat. Meantime, the ABQ Journal again had difficulty in settling on a major political endorsement. You may recall last year when in an unusual move they endorsed two candidates in the first round of ABQ's mayoral voting. They didn't do that in the gubernatorial contest Sunday but in endorsing Steve Pearce they made mention of the positive qualities of Lujan Grisham, a departure form the norm and a signal that they were again conflicted. The Pearce endorsement was a mild surprise to us and others in the political community who expected MLG to garner all three major newspaper endorsements. The Santa Fe New Mexican and Las Cruces Sun-News have already given her the nod so she finishes two for three. The Journal's endorsement focused on Pearce's fiscal conservatism. They warned that the huge surplus that Santa Fe will have in the next legislative session should not be spent for "recurring" expenditures such as hiring more teachers or social workers for CYFD to whittle away at the state's social conditions crisis. And they again opposed the proposed constitutional amendment that MLG supports that would allow a small portion of the $18 billion Land Grant Permanent Fund to be used for early childhood education. Pearce opposes the amendment. Journal polling shows the public is overwhelmingly supportive. From this corner we see the fiscal austerity argument as out of steam after eight years of dominance under Gov. Martinez. The state has only worsened in vital quality of life measures across the board and as the best and brightest continue to flee for greener pastures. First off, the surplus is going to be well over the $1.2 billion that the editorial cites. It could near $2 billion as NM House Speaker Brian Egolf recently reported to our readers and to KOB-TV's viewers and as mentioned in the New Mexican. That gargantuan sum presents a once in a generation opportunity and can't simply be put under the state's pillow. And the NM Oil and Gas Association says based on forecasted oil production in the SE the surplus is expected to continue for the next five years. In other words, there will be money to finance "recurring expenditures" for improving education and the like. The social and economic deterioration of New Mexico brought about by long term crime waves; a drug epidemic; education inferiority; out migration; low-paying jobs; not enough jobs and federal spending cutbacks will yield to investment. That's a given. Saying that it won't and offering no alternatives is paramount to giving up. 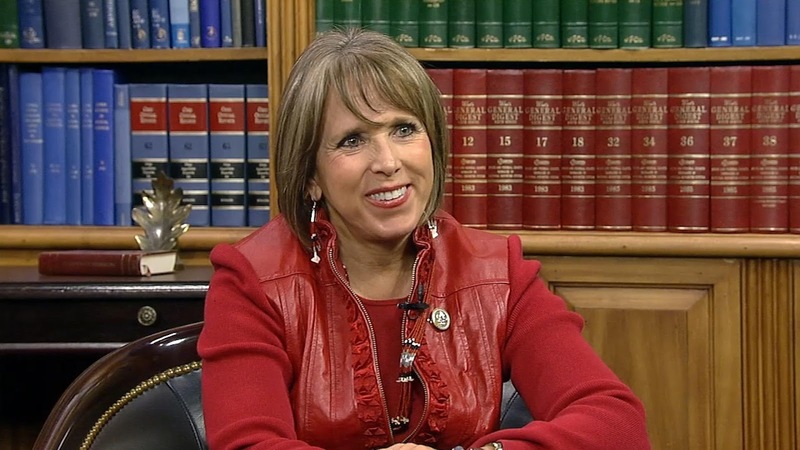 Not to take sides in the Governor's race--and we won't--but Lujan Grisham gets it right when she declares: "I will never give up on New Mexico." Neither will we. 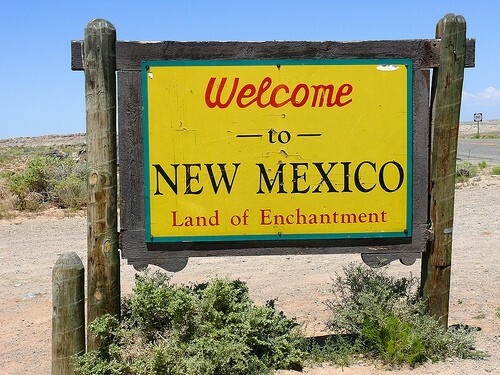 The Bureau of Land Management’s (BLM) third-quarter oil and gas lease sale in New Mexico broke all previous records by grossing nearly $1 billion in bonus bids for 142 parcels. The two-day sale brought in more revenue than all BLM oil and gas sales in 2017 combined, and surpassed BLM’s previous best sales year. . . Forty-eight percent of the revenue from lease sales goes to the state where the oil and gas activity is occurring, while the rest goes to the U.S. Treasury. No one wants to waste the largess pouring in but for a state ranked 49th or 50th in poverty, child well-being etc. etc. this is a godsend. It is also a challenge to the state's environmentalists whose job it is to safeguard the public lands and hold industry responsible, no matter its financial contribution to the state. 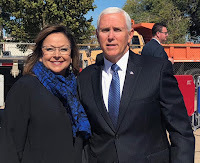 We learn more about that Friday Roswell visit from VP Pence on behalf of Steve Pearce and GOP congressional hopeful Yvette Herrell here. . . It's been a real spending spree in that southern congressional contest. Dem Xochitl Torres Small has dominated, garnering Dem support from around the nation and raising $3.8 million in total since the start of her campaign, including the June primary. And so far those out of state super PACs that are flooding the airwaves have spent $2.8 million attacking Herrell. The super PACS on Herrell's side have spent $1.6 million attacking Torres Small. Herrell's campaign has raised less than half of what Torres Small managed, reporting a total of $1.2 million thus far, according to FEC reports. The info on the outside money is from OpenSecrets.org. The southern race is rated Lean R here and Toss Up by most national pundits. In the US Senate spending race OpenSecrets reports that as of mid-October Libertarian Gary Johnson had only raised $347,000, including over $100,000 of his own. He has spent $290,000 since getting in the race in August. Dem Senator Martin Heinrich has raised $8.3 million since 2013 and spent over $7 million. Republican Mick Rich, with help from his own wallet, has raised $896,000 and spent over $780,000. That does not include any broadcast TV. The Senate hopefuls had an under-the-radar final TV debate Friday night. It was sponsored by KRQE-TV but tucked away on one of the station's unheralded cable outlets and streamed on the KRQE website. For those who did manage to catch it the press described it as "raucous." The US Senate race is rated Safe Democrat. The Republican Governors Association comes with a rewrite of the ubiquitous Delta Consulting ad against Guv hopeful Lujan Grisham. The Save The Children Action Network PAC puts up $400,000 and two TV spots in favor of MLG and her stance on early childhood education. The massive battlefield (for the US House) remains a problem for Republicans, who have struggled to match Democratic fundraising and face several first-time candidates not yet tainted by Washington. Still, Dan Sena, the executive director of the House Democrats campaign arm, recently predicted Democrats would win the majority by only two seats. Only two? If Sena is serious and not just playing down expectations it sounds as if the US House in Washington could be a lot like our NM Senate where a coalition of Rs and D's often come together on key issues. Would Ben Ray still be able to call that a win or would the Dems toss him in the Potomac?